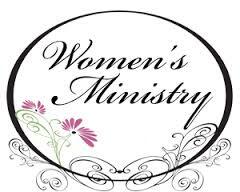 Our Women’s Ministry at Clear Creek Baptist Church is a group of ladies, who join together monthly to discuss ways to pray for, minister and lead the women of our congregation and our community. We are open to ladies of all ages. 2) DISCIPLESHIP – Educate women to prayerfully study and apply God’s word in their lives. 3) MISSIONS– Equip women to do Kingdom work through service locally and globally. Our Women’s Ministry actively seeks God’s will in finding ways to enrich the lives of CCBC women through encouragement, involvement, opportunities to learn, friendships, sharing gifts and experiences, praising God, outreach, building the Kingdom of God, and personal growth. We are excited about the current projects we have going on at CCBC. Some of these are seasonal (including our Mission Dolls, Clothes for Conquerors, and Christmas Joy Boxes), We also help with community needs in our Nursing homes as well as aid with projects with West Stanly Christian ministries clothing and food pantry. COLOSSIANS 3:23-24 23-And whatsoever ye do, do it heartily, as to the Lord, and not unto men; 24-Knowing that of the Lord ye shall receive the reward of the inheritance for ye serve the Lord Christ.